There is a wide range of all kinds of weight loss products that are available in the market for helping people who want to lose a few kilos and get to their ideal body weight. The weight loss products come in pills, nutritious weight loss shakes, weight loss supplements, and many more. 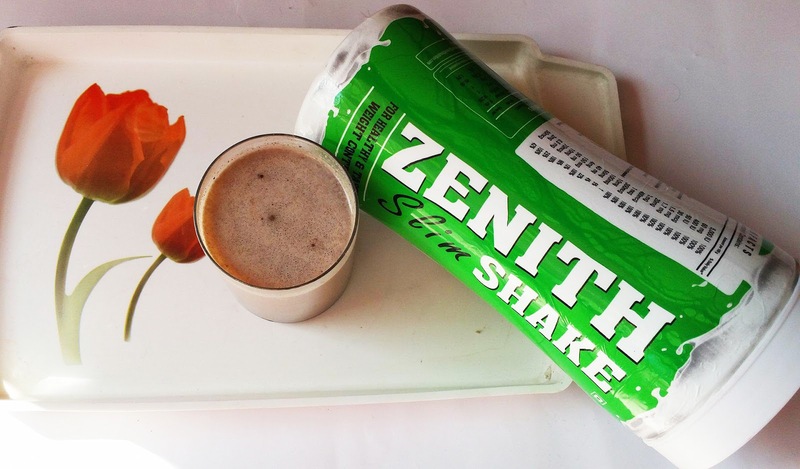 Today I'm going to share with you the details about a popular weight loss product from Zenith Nutrition. It is a healthy and tasty weight control food supplement. Soy fibre, FOS, Maltodextrin, Milk powder Whey protein concentrate,(DAVISCO®. U.S.A) Soya protein isolate (SUPRO) Vitamin mix, Flavours, Probiotics,Herbal extracts(green tea extract, Acai fruit, garcinia extract),Sucralose cocoa powder(only for chocolate flavour), & added flavour natural sweetener . Replace one meal preferably breakfast with 3 scoops (35 g approx.) of Zenith Slim Shake with water or low-fat milk. Blend with a blender to make a delicious shake. 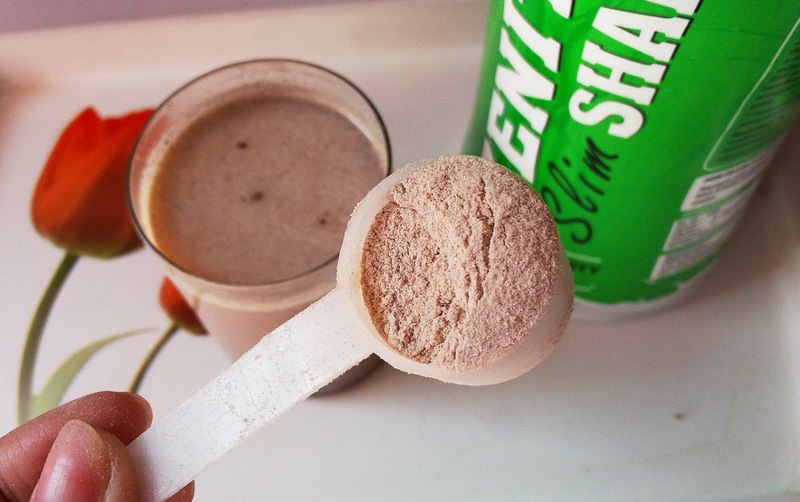 Zenith Nutrition Slim Shake comes in a green and white colored big container. 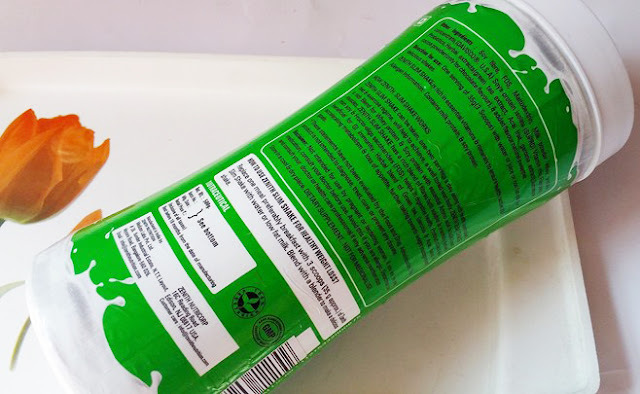 The protein shake powder is contained in a plastic cover that is well sealed. Inside the container, you will get a measurement scoop that will help you with measurements. There are four flavors to choose from like the berry blast, vanilla, chocolate and American Ice cream. I have the chocolate, flavor and it looks light brown in color. It has very mild choco flavor and tastes very nice. 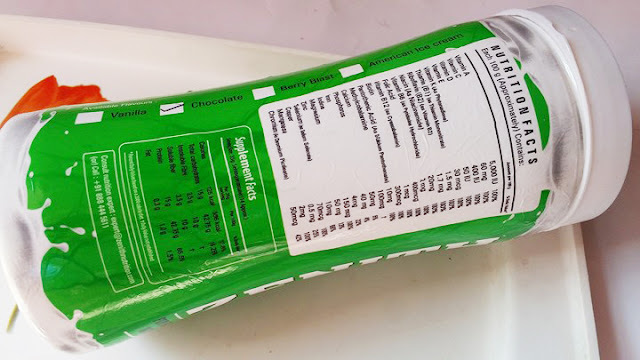 As per the instruction, you can drink this shake or you can mix it in smoothies, with another shakes, juices or add this powder, to any other diet food where this choco flavor fitted. 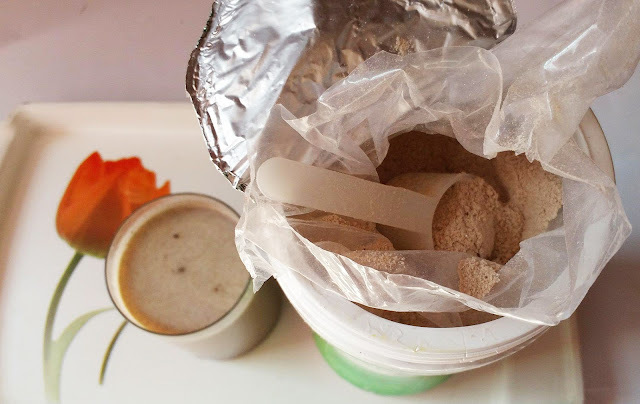 This slim shake will make a tasty diet which helps you to control weight and it does not taste same each time. Zenith Slim Shake can be taken, one-two servings a day along with health controlled diet & exercise regime will help to achieve, a well-toned lean body. Zenith Slim Shake a rich blend of Whey protein & Soy protein with essential Amino acid to build Lean muscles. It has a rich blend of fibers both soluble & insoluble derived from soy & Fructo-oligo saccharides (FOS), helps in digestive health. Probiotics also are beneficial for GI immunity. Herbal blend of Green tea, Garcinia & Acai, helps in accelerating metabolism & loss of appetite, further taking towards weight management goals. Zenith Nutrition Slim Shake is not a medicine. It's a dietary supplement. It is rich in essential vitamins and minerals to ensure healthy active life. It contains milk protein and soy protein. It is a food supplement. So do not expect that it will give you a desire results in a night. Nothing works like magic. Controlled your diet and proper workout along with Zenith Slim Shake gives you an impressive result in a month. Warning: Pregnant or lactating women, diabetics, hypoglycemic and people with known medical conditions and/or taking drugs, should consult with a licensed physician and/or pharmacist to taking dietary supplements. Disclaimer: These statements have not been evaluated by the Food and Drug Administration. These products are not intended to diagnose, treat, cure or prevent any disease. Always consult with your professional healthcare provider before changing any medication.